Waddington Custot will present a tribute to British artist Peter Blake (b.1932) at Frieze Masters 2017, in collaboration with designer Robin Brown and producer Anna Pank. The booth will bring together the artist’s work, collections and studio content to recreate his private creative environment which will highlight the human aspect of Blake’s practice and how this informs his work. Featuring a fractured structure, the installation will appear as if torn from Blake’s studio. Exposed brick walls, floating steel beams and windows will retain the industrial spirit of the building in West London, which will then blend into and be surrounded by artworks and unexpected finds from a personal career of collecting. At the centre of the booth two large tables will echo Blake’s workstation. 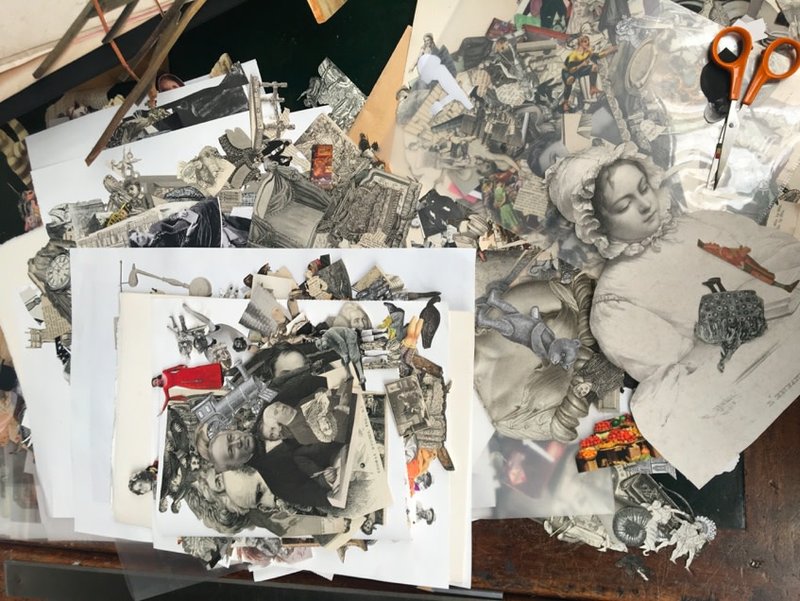 Piles of books, papers, photographs and cut-out figures lifted directly from Blake’s studio desk will cover surfaces, whilst neatly labelled cardboard boxes and the artist’s own collections of miscellaneous objects will fill the booth, each one telling their own unique story. Wrestling memorabilia will shine a light on Blake’s childhood trips to wrestling matches, and images of popular art and culture will reveal the crossover of themes within Blake’s collection and the artworks he creates. Key works from Blake’s expansive career will be integrated into the booth, including seminal early work loaned by private collections shown alongside important works that have remained in the artist’s collection for a number of years, never seen by the public until now. Peter Blake is known as one of the leading figures of the British Pop art movement, and central to his work is his interest in images from popular culture. His first exhibition at Waddington Galleries was in 1972 and this landmark presentation at Frieze Masters celebrates him as both an artist and individual in a career which spans over 6 decades. Providing a unique insight into his working practice, the booth presents Blake as an artist in the truest sense and his continued joy in making work.